Cackling Carol must be the only witch in the world who hates cats! But she really wants a pet to keep her company and so she decides to get a dog instead. Together with her faithful and very clever Broom, she visits a dogs’ home. She’s after a nice small dog that will fit on on Broom with her. But who does she come out with? Big Roddy, the biggest, bounciest and shaggiest dog you could imagine. All Cackling Carol’s witchy friends fall about laughing when they meet him. But just who is it that saves them all from the wicked Wizard Egbert and his despicable spells? Not the cats, that’s for sure! This is a non-nightmare-inducing halloweeny story for 5 to 11 year olds or so. 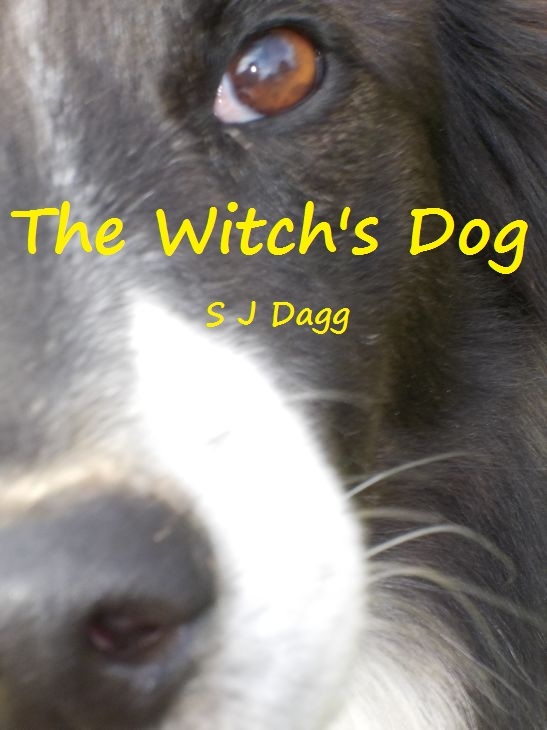 I did this cover and it stars Nessie, our border-collie-cross-German-shephard! Available for FREE from Smashwords here.